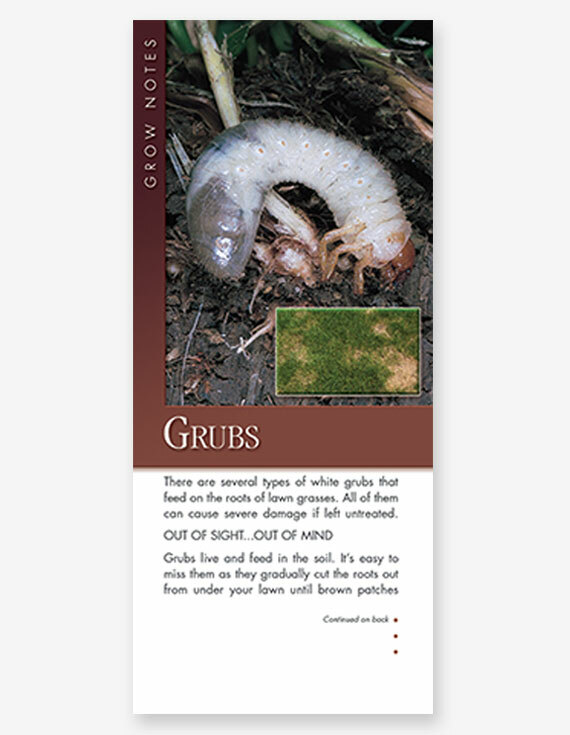 Do your customers and prospects know how damaging grubs can be? 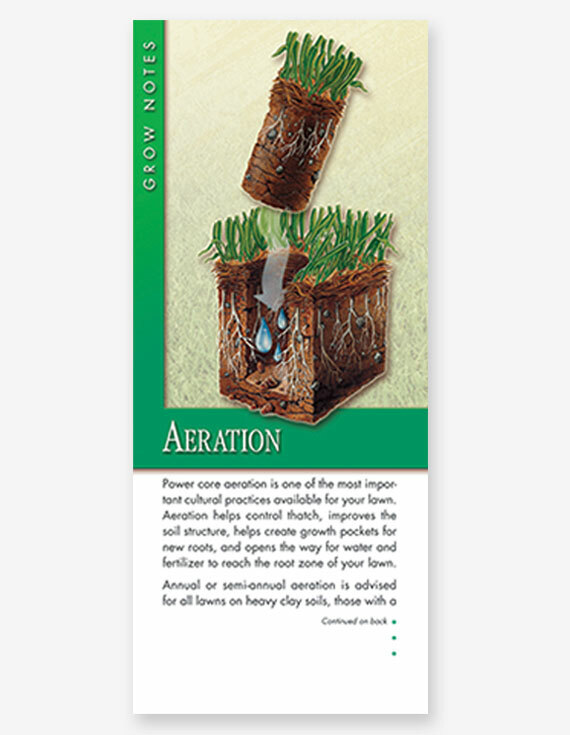 Use this Grow Note to let them know how you can protect their lawns from these destructive pests. The before and after photos on this Grow Note show customers and prospects what a difference slice seeding can make. 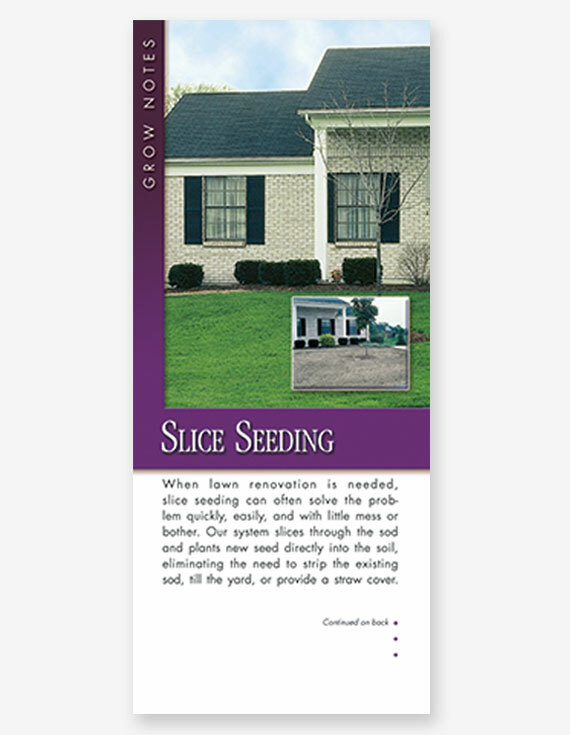 Use it whenever you want to promote your lawn renovation services. 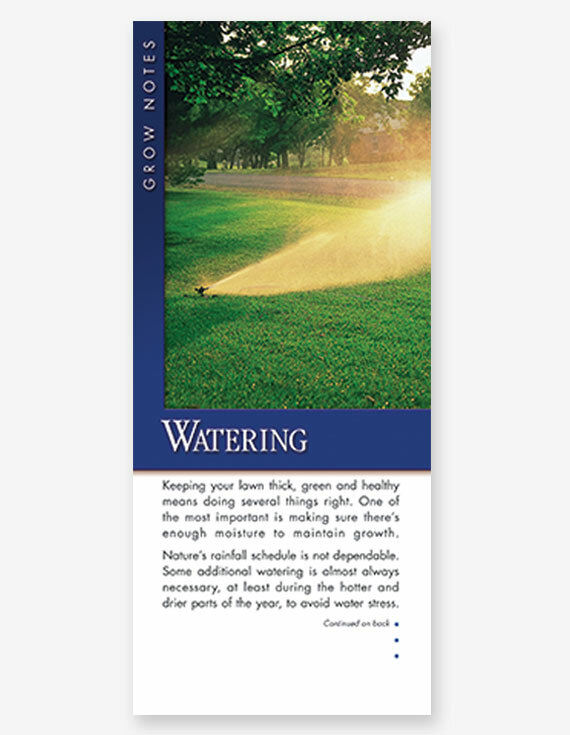 Your customers and prospects may not be aware of the role soil chemistry plays in lawn health. 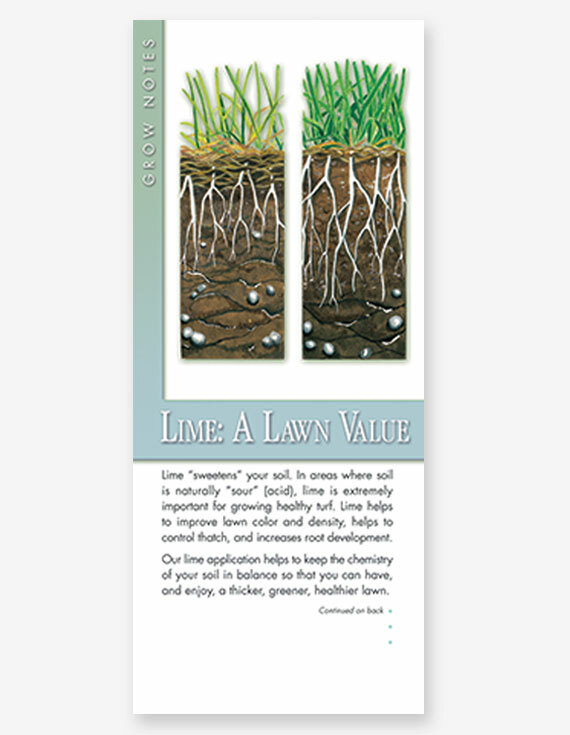 Use this Grow Note to show them how your liming service can encourage a thicker, greener lawn. 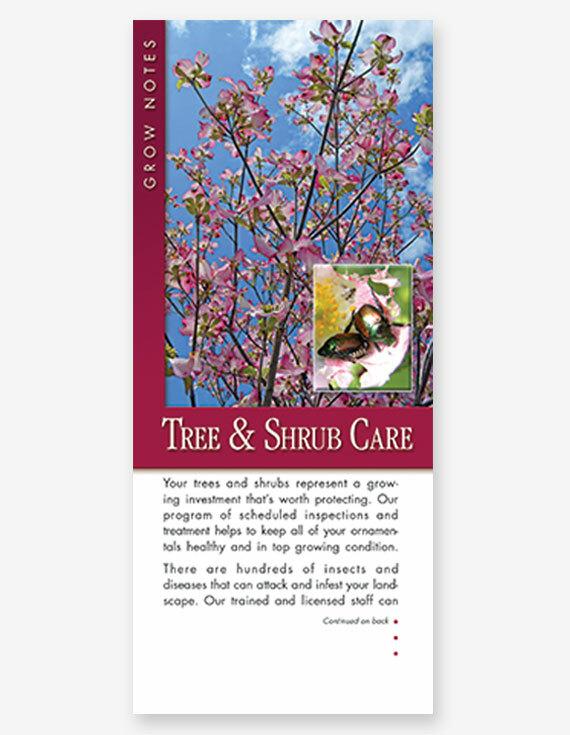 Remind customers and prospects that trees and shrubs can use our help outside of their natural forest setting. 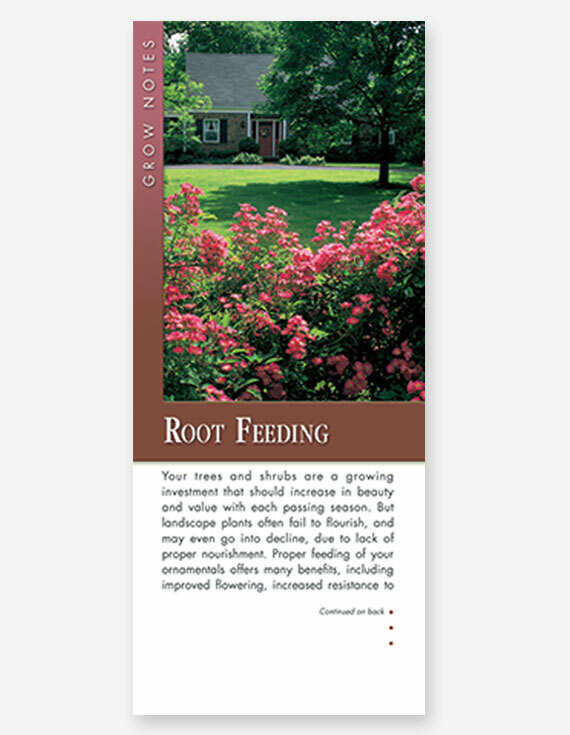 Use this Grow Note to promote efficient nutrient delivery through your deep-root fertilization service. Teach your customers to mow properly, and the lawn care services you provide will work even better. 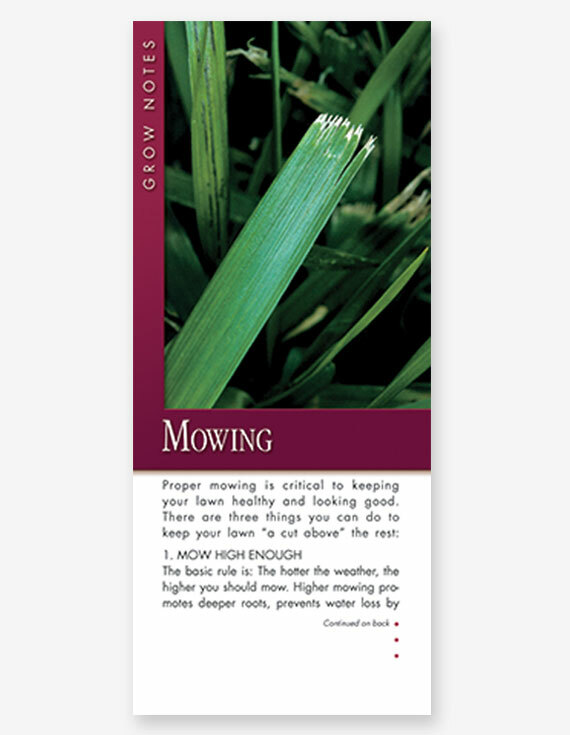 This Grow Note will give them the tips they need for mowing success. 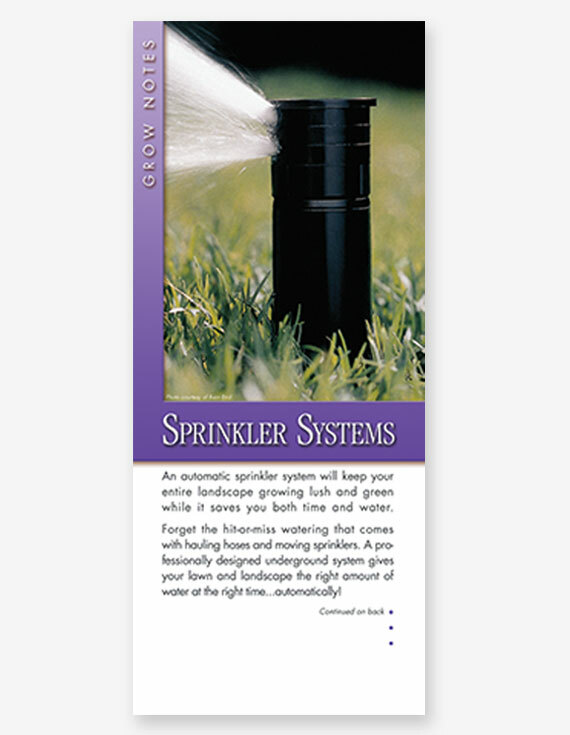 Let your customers know that lawn disease can take a serious toll on their turf. 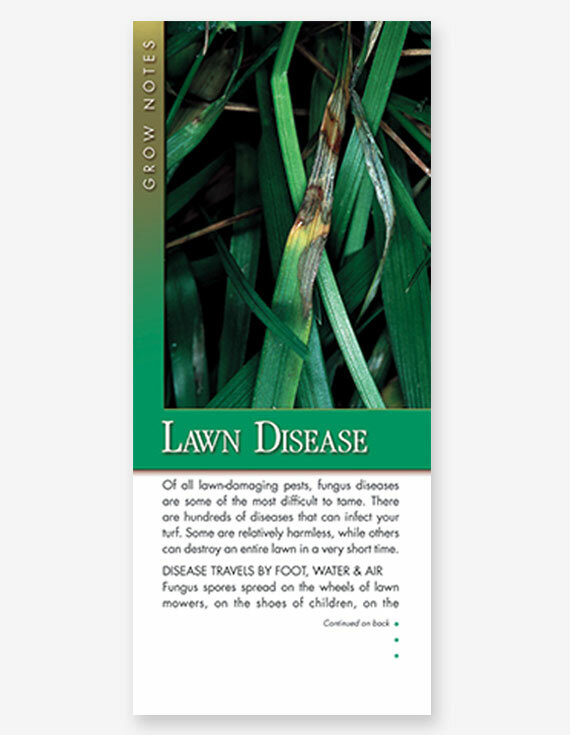 This Grow Note discusses how lawn fungus diseases spread, and what can be done to prevent them.